Welcome to the online home of Nuisance Wildlife Control. We are a full service nuisance wildlife control company serving the Northeast Illinois region. If you live in, or own a building in Aurora, IL. and Kane County, Illinois, we can trap and remove raccoons from your home or building. In order to prevent further raccoon damage to your home, we will determine where raccoons are getting in and set our raccoon traps accordingly. We are capable of repairing all raccoon damage. If your trees need to be trimmed to keep raccoons off of your roof, that is a service we can provide. Raccoon feces and soiled insulation in attics can be fully disenfected and cleaned up by us. We can remove baby raccoons from your attic, fireplace, walls, ceilings and soffits. Trapping raccoons in Aurora, IL. and Kane county is our specialty. We use all types of raccoon traps that makes our raccoon trapping extremely versatile. If you have raccoon problems in Aurora Illinois and DuPage County Illinois, call us or send an e-mail to schedule an appointment. 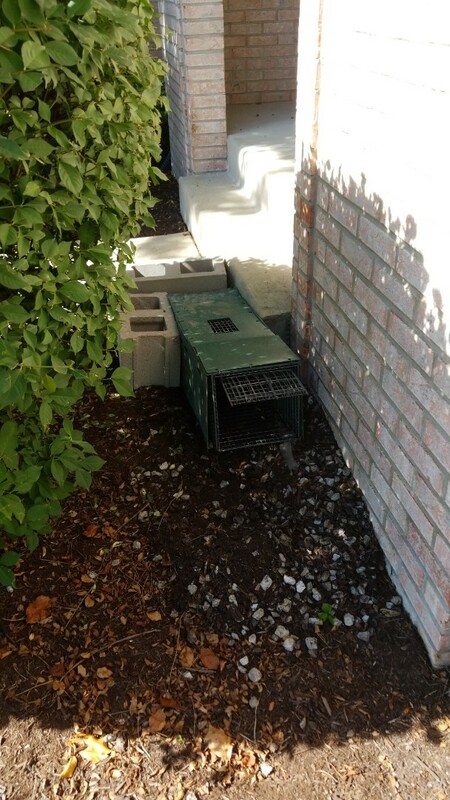 Nuisance Wildlife Control has handled skunk trapping and removal in Aurora Illinois region for over 15 years. With all the forest, prairie preserves, Fox River and dozens of small streams, Aurora provides a rich environment for the Skunk. Often times a homeowner will notice a softball sized hole by the front porch and not pay much attention to it until it’s too late. When a skunk sprays, it will carry that odor back under a concrete porch ,shed or garage. The odor is overwhelming and will spread through the house. We trap skunks using skunk traps which prevent the skunk from spraying your home or building. Home remedies like amonia soaked rags or mothballs are usually ineffective. Once we have trapped the skunks, we can completely seal off your porch, sidewalk or driveway permanently and guarantee you will never have a future skunk problem. Don’t delay any further, call us or send an e-mail to set up an appointment. Beaver Removal or Beaver problems in Aurora, Illinois. 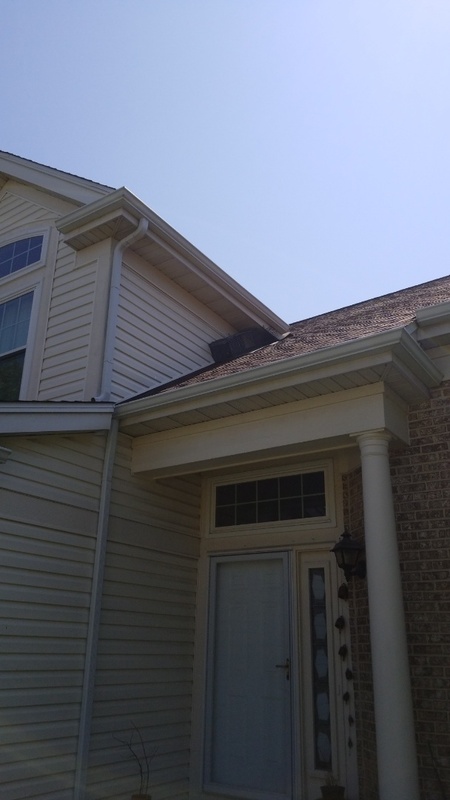 Bat Removal or Bat problems in Aurora, Illinois. With its rich history and historic Victorian architecture, Aurora homes can provide excellent habitat for Bats. Bats are found every spring, summer and fall, and bat colonies can become extensive if left alone. Bat colonies can range in size from hundreds to thousands of bats each year. These larger size bat colonies can produce large amounts of bat droppings (guano) that can pose a significant health risk to humans. Nuisance Wildlife Control has the experience and the right equipment to safely remedy a bat infestation. If you are experiencing a bat problem in Aurora, don’t hesitate to give us a call at (630)416-9920 and we will have a representative stop over to assess the situtation. You can also use our online appointment scheduler. Each spring birds will enter louvered exhaust vents on homes and buildings. Here they will build their nests, lay eggs and raise their young. Noises, parasites and bad smells accompany this invasion. I have all the proper equipment and techniques that will solve your bird issues. For expert bird removal and birds removed from vents in Aurora Illinois give me a ring (630)416-9920 or fill out an appointment request at nuisancewildlifetrapping.com. I also install barriers for ending your bird problems for good. Thank you for trapping and removing two skunks from under my home. Successful skunk trapping and removal. 2nd skunk humanely trapped and removed from under shed . Skunk number 5 successfully trapped and removed. Skunks number 3 and 4 successfully trapped and removed at residence . Safely , humanely trapping and removing skunk family from under porch/sidewalk. Humane , live raccoon trapping .